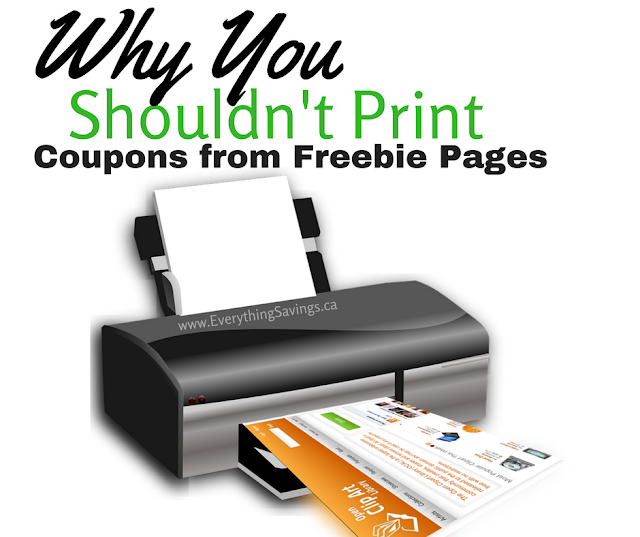 Many times you see a coupon posted by a blogger or a coupon or freebie page and you just print it to save yourself some money. Did you know that the blogger is most likely being paid when you print it? Smartsource.ca pays bloggers to have their coupons on their blog and bloggers get paid a percentage of every print. YOU yes you could be earning money every time you print a coupon and even earn when you USE the coupon. Print ALL your coupons from the Smartsource portal on Swagbucks and earn SB'S. These SB's can be redeemed for PayPal cash, Amazon gift cards and more. Swagbucks is the web’s most popular rewards program that gives you free gift cards and cash for the everyday things you already do online. Whenever you shop, watch videos or search the web, Swagbucks gives you points called SB. You can use your SB to redeem gift cards to hundreds of your favorite stores. And with Swagbucks, it pays to save. Did you know you can earn free gift cards by redeeming coupons at your grocery store? By clipping coupons through Swagbucks, you can earn 10 SB for every coupon used. I took a screen shot of my latest cash-outs from Swagbucks, its so insanely easy to earn and you don't need one single referral under you to make money every month. With a top Better Business Bureau rating you can't go wrong with Swagbucks. I am not here to prove to you the Swagbucks is legitimate that was proven long ago through news stories and accolades for being one of the fastest growing hot spots to earn rewards! I myself am pure proof of how much can be made using Swagbucks. The Swagbucks parent company is Prodege LLC. Even if you only use Swagbucks for getting your grocery coupons and earn for using them you will be making completely free PayPal cash and gift cards for food you had to buy already. The Swagbucks coupon page lets you browse through the most recent coupons and cater it to your shopping list, from cereal to laundry detergent to pet food. Swagbucks also has over $700 worth of savings conveniently located in one place! Just use your cell phone number to verify your account, print and go. Start making the money for you, the whole reason you follow a coupon or freebie page is to save more money, you can be making some every time you use a coupon.